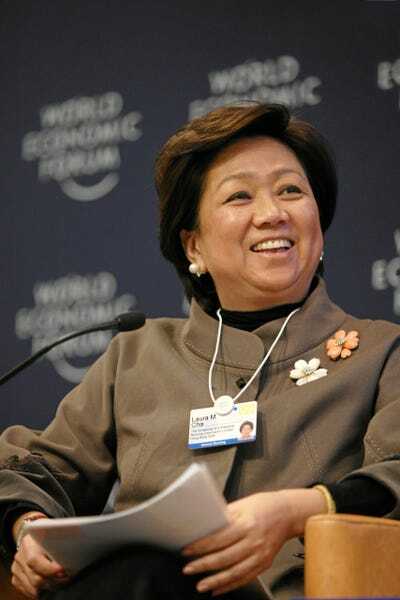 Earlier this week a prominent Chinese politician and businesswoman reportedly compared Hong Kong’s protestors demands for democracy to the emancipation ofAfrican-American slaves, The New York Times reports. Laura Cha, a nonofficial member of Hong Kong’s Executive Council, spoke at a trade event in Paris on Wednesday when she gave the analogy, saying, “American slaves were liberated in 1861, but did not get voting rights until 107 years later. So why can’t Hong Kong wait for a while?” according to remarks reported by Hong Kong newspaper The Standard. Approximately 5,000 have signed an online petition denouncing Ms. Cha’s comments and calling for an immediate apology. “We, the Hong Kong public, will not stand these remarks likening our rights to slavery, nor will we stand the kind of voter disenfranchisement her and her associates attempt to perpetrate on the Hong Kong public,” said the petition to HSBC, that sought an apology from Cha. “Furthermore, we’re puzzled by her lack of understanding of American history, and why she failed to understand that the full ratification of the 15th Amendment in 1870 already granted full emancipation to African-American slaves, including full voting rights,” the petition notes. The financial hub and former British colony has been rocked for weeks by a student-led civil disobedience movement called “Occupy Central” that demands full democracy, sparking clashes with police and other groups. Hong Kong returned from British to Chinese rule in 1997 under a “one country, two systems” formula that allows it wide-ranging autonomy and freedoms and specifies universal suffrage for choosing its leader as an ultimate goal. But Communist Party leaders in Beijing have insisted on screening candidates for the job first, prompting the popular, and in the most part courteous, dissent. The student-led protesters now appear to be settling in indefinitely, even though the government is powerless to change the financial hub’s “Basic Law” mini-constitution and go against Beijing rule.